John R. Cionca is the executive director of Ministry Transitions, Inc. Dr. Cionca has served in full-time capacities as a youth pastor, discipleship pastor, senior pastor, and professor of ministry leadership at Bethel Seminary in St. Paul, Minnesota. He has written and coauthored nine books. 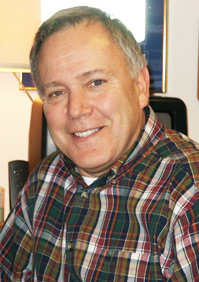 He has ministered in many churches as an interim pastor and transitions coach. He has advised over 300 pastors and ministry leaders and has consulted with over 100 congregations. John and Barbara Cionca live in Arden Hills, MN. Their two adult children Ben and Betsy live in Mounds View, Minnesota and Glendale, Arizona, respectively. Denver Seminary ~ MA; and Talbot School of Theology ~ DMin. He completed additional doctoral studies at Bethel Seminary. He shares life and ministry with his wife, Lynette, a Registered Nurse. They have three adult children: Suzanne Baker of Bend, Oregon; Rachelle (and son-in-law David) Trigueros of Arvada, Colorado, and Meredith (and son-in-law Tom) Wilson, who live in Long Beach... and five wonderful grandchildren who enrich their lives. 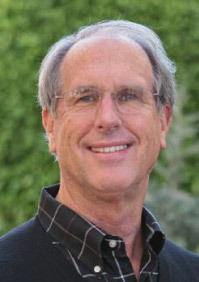 Baker served as an Associate Pastor in Christian Education and Youth Ministry in Oregon, California, Colorado and Massachusetts. His Ministry Journey includes Seminary Teaching and Administration at Western Seminary in Portland, Oregon plus being a Senior Pastor in Minnesota. Since 1997 he has been deeply involved and enjoys helping churches, Christian leaders and Christian organizations pursue more intentional Kingdom ministry as Senior Ministry Consultant with The Goehner Group and “Summit Bound” plus he served as Director of Placement & Transitions with EFCAWest for nearly nine years. Over the years Dennis has personally equipped and worked with over 400 Senior Pastor Search Teams and resourced hundreds of Associate Searches.